Does Your Serger Have Unclear or Disappearing Labels? 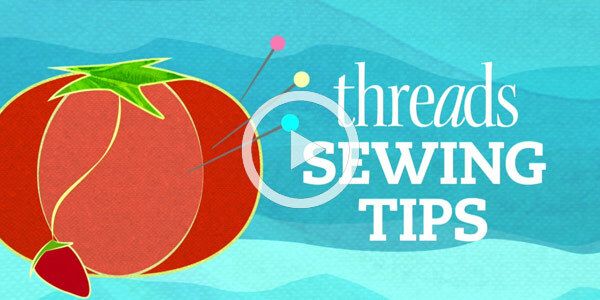 Learn how to label your serger in this "Sewing Tips" video by Threads. Beginners and advanced sewers alike can find a serger confusing. The multiple thread spools, needles, and loopers are sometimes difficult to keep track of, even if they are color coded. Stephani L. Miller, Threads’ former special projects editor, cuts to the chase: She suggests labeling each control on her serger with a permanent marker. The labels make it easy to see at a glance which threading path to follow and which dial or switch to use when adjusting the stitch. Save time with this quick solution. For more information on sergers and serging, see the following additional resources. Learn all the ins and outs of serging in Threads author Pamela Leggett’s book and companion DVD, Sewing Essentials: Serger Techniques (The Taunton Press, 2015). Finally, if you’re curious about sergers but don’t already own one, you’ll enjoy learning more about what to look for. Read “Shopping for a Serger” to discover the best way to test and select a machine that can perform necessary sewing tasks. At Threads magazine, we’re always searching for tips, tricks, and solutions to help you sew smarter, better, and faster. Send us your great ideas for a chance to be featured in the magazine’s Tips department. Tips can be emailed directly to Threads or mailed to Threads Tips, PO Box 5506, Newtown, CT 06470. The strawberry moving in the "B"-roll is a nice touch. The only suggestion I can make is for you to send Stephanie and her Sharpie to Washington, D.C., one imagines the rest of us would be made clear on who is who (she's a skilled evaluator), then all the spin, and related confusion, would evaporate. A fan of yours, and hers! 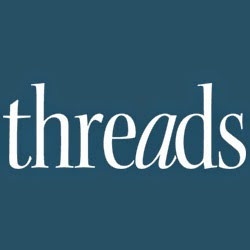 Hi LuvThreadsMagazine! Thank you so much for all of your kind words and comments on this, and other videos. I'll be sure to relate your "Sharpie to D.C." request to Stephani. ;) Thanks for watching! I use removable labels to mark my machines. It also works to identify my needle size and type. When a needle is half used, remove the label from the front of the machine and put the label on the needle, and into a pin cushion for half used needles.